The famous magazine’s team has come up with all sorts of ideas for the first Frame Lab such as talks, panel discussions, workshops, live judging sessions, exhibitions and a room installation that will turn into a stage for the awards ceremony in the evening. For furniture manufacturer Wilkhahn, which has been working closely with the magazines for years, this is a good enough reason to take part in this international event: it’s both one of the few exhibitors in the Lab Centre and a source of inspiration in the Wellness Lab. Wilkhahn’s spokesman Burkhard Remmers will also be on hand to explain how we can introduce wellness into the workplace. 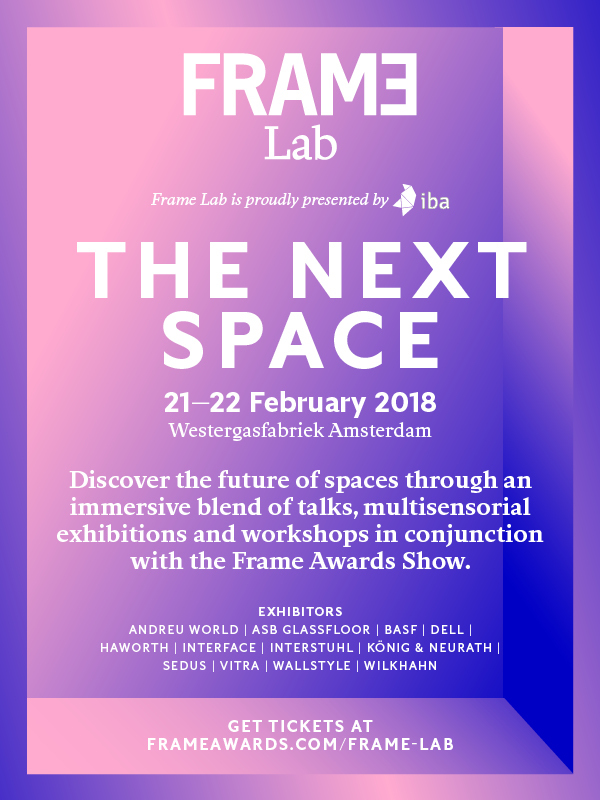 FRAME Lab will take place in the Gashouder Westergasfabriek in Amsterdam on 21 and 22 February 2018. Opening times are from 9 a.m. to 7 p.m. Get your tickets here (early bird prices until 21 January).